Abstract: Distributed Generation (DG) is an electric source connected directly to the distribution network. DG has been growing rapidly in deregulated power systems due to their potential solutions to meeting localized demands at distribution level and to mitigate limited transmission capacities from centralized power stations. In this paper effort has been made to study the impact of DG on the reliability of the distribution network. IEEE 33 Bus distribution network was used for the study. Firstly, DGs were optimally sized and located in the network using Modified Particle swarm optimization and ETAP software was used to model and evaluate the reliability indices. Two scenarios were considered. Scenario one was the integration of one DG and two was integration of two DGs. The results obtained showed that as the number of DG in the system increases the reliability of the system also increases. Keywords: Distributed Generation, Reliability indices, Modified Particle Swarm Optimization, ETAP. Adefarati, T., & Bansal, R. C. (2016). Integration of renewable distributed generators into the distribution system: a review. IET Renewable Power Generation, 10 (7), pp. 873-884. S. Vinayak.N.Shet (2017) “Distribution Network with optimal DG Placement and Protection Impacts: Review Analysis” International Journal of Electrical and Electronics Engineering (SSRG – IJEEE) Volume 4 Issue 2. Keywords: Monitoring, Evaluation, County Government Funded Projects. Mayne, J. (2008) Building an evaluative culture for effective evaluation and results management. ILAC Brief (20) 4 p.
Rist, Ray C.; Boily, Marie-Helene; Martin, Frederic. 2011. Influencing Change: Building Evaluation Capacity to Strengthen Governance. Kerzner, Harold. Project management: a systems approach to planning, scheduling, and controlling. John Wiley & Sons, 2013. Jha, K. N., & Iyer, K. C. (2006). Critical determinants of project coordination. International Journal of Project Management, 24(4), 314-322. Kaimenyi, K. (2005). Efficiency and Efficacy of Kenya’s Constituency Development Fund: Theory and Evidence. University of Connecticut Press. Kamau, K. (2007). Kenya: CDF Litmus Test for MP Re-election Performance. Open Society Initiative for East Africa. Nairobi: Kenya Government Printers. Naoum, S., Fong, D. & Walker, G., (2004). Critical success factors in project management; in proceedings of International Symposium on Globalization and Construction, Thailand. Ling, F.Y. & Chan, S.L., (2002). Performance evaluation of alternative project procurement methods. Research brief. National University of Singapore. Faniran, O. O, Love, P. E. D., & Smith, J., (2000). Effective Front-End Project Management A Key-Element in Achieving Project Success in Developing Countries, 2nd International Conference on construction in Developing Countries: Challenges facing the construction industry in developing countries. World Bank, (2012). Monitoring and Evaluation: Some tools, methods and approaches. The World Bank Washington, D.C.
Sahlin-Andersson, K., (2002). The Social Construction of Projects. A Case Study of Organizing an Extraordinary Building Project the Stockholm Globe Arena. Scandinavian Housing & Planning Research, Vol. 9, pp. 65-78. Momballou, Kimberly A., (2006) The Creation of a Communication Guide for the Project Manager Implementing a Student Information System. Seton Hall University Dissertations and Theses (ETDs). 2415. Abstract: Early prediction of strength is key in effective and efficient planning for concrete construction projects. There are several empirical correlations that have been developed to determine concrete strength estimation from early age results though each model has its own limitations when applied. A multi-staged evaluation of the existing prediction models (BS modification factors, German model, Abrams model, Bolomey’s model and ACI model) was performed for concrete strength data obtained from experimental work conducted under standard conditions in the laboratory. The data on compressive strength was obtained from concrete made from 6 different samples of fine aggregates whose physical and chemical properties had been determined. The limitations for each model was noted which then gave a basis for need for a statistical method that could predict strength more accurately. A multiple linear regression technique was used. The variables used to predict were water-cementations ratio, quantities of mix design constituents, physical and chemical properties of the fine aggregates. Multiple-linear regression models developed for this study yielded coefficients of determination (CODs) for concrete strength prediction at 7, 14, 28, 56, 112 and 180-days curing. The regression models were then validated using a different set of samples that were not included in the formulated models. The predicted values of compressive strength obtained using the regression models were found to be in agreement with the experimental results obtaining CODs of 0.7821, 0.7186, 0.8416, 0.755, 0.7695 and 0.8444 for 7, 14, 28, 56, 112 and 180 days respectively. Kabir, "Strength prediction model for concrete," ACEE International journal on Civil and Environmental Engineering Vol 2, vol. 2, no. 1, pp. 14-19, 2013. MacGINLEY and B. CHOO, Reinforced Concrete Design Theory and Examples, London: E & FN Spon, 2003. Ksenija, "Estimation of Compressive Strength of Normal and Recycled Aggregate Concrete," Architecture and Civil Engineering, vol. 9, no. 3, pp. 419-431, 2011. Palika, "Predicting compressive strength of concrete for varying workability using regression models.," International Journal of Engineering and Applied Sciences (IJEAS), vol. 6, no. 4, pp. 10-22, 2014. K. Hossein, "On the strength prediction in concrete construction based on earlier test results: case studies," Concrete research letters, 2016. Ahmad, "Optimum Concrete mixture Design using locally available ingredients," The Arabian jounal of Science and Engineers, vol. 32, no. 1B, pp. 27-33, 2007. Moutassem, "Assessment of Concrete Compressive Strength Prediction Models," Korea Society of Civil Engineers Journal of Civil Engineers, vol. 20, no. 1, p. 344, 2015. BSI, Structural Use of Concrete- Code of Practice for special circumstances, London: BSI, 1985. Penn State University, "The Effect of Aggregate Properties on Concrete," 2000. [Online]. Available: http://www.engr.psu.edu/ce/courses/ce584/concrete/library/materials/aggregate/aggregatesmain.htm. M. Shetty, Concrete Technology Theory and Practice, New Delhi: S. chand & Company Ltd, 2006. Neville, Properies of Concrete, London: Longman Scientific and Technical Publishers, 1995.
k. R. K. A. Kapelko, "Statistical model for compressive strength prediction of high performance concrete," Research and applications in Structural Engineering, 2013. Abrams, Design of Concrete Mixtures, Chicago: Structural Materials Research Laboratory, 1919. M. Neville, Properties Of Concrete, London: Pearson Education Limited, 2011. ACI committee 209, "Prediction of Creep, Shrinkage and Temperature Effects on Concrete Structures," American Concrete Institute, Farmington Hills, Mi, 1997. M. M. C. -A. A. M.F.M Zain, "Mathematical regresssion model for the prediction of concrete strength," 2008. Popovics and J. Ujhelyi, "Contribution to the Concrete Strength Versus Water-cement ratio relationship," Jounal of materials in Civil Engineering, vol. 20, no. 7, pp. 459-463, 2008. Arum and Y. Alhassan, "Combined Effects of Aggregate shape, Texture and Size on Concrete strength," Jounal of Science, Engineering and Technology, vol. 13, no. 25, pp. 13(2) 6876- 6887, 2005. C. &. G. A. Syal, Reinforced Concrete Structures, New Delhi: S. Chand & Co PVT Ltd, 2013. N. N. Hannah, "Effects of Sand Quality on Compressive Strength of Concrete: A case Study of Nairobi County and its Environs," Scientific Research Publishing Inc, p. 30, 2014. Abstract: Minimization of Power Loss expenses of the rapidly expanding larger distribution network is always an attention for Electric Power Utilities. Moreover, if power loss can be minimized at the highest extent, network voltage improvesinherently in overall, therefore enhancing the quality of power at the consumer end.This paper presents an integrated method for optimal allotment of distributed generation (DG) and shunt capacitor (SC) simultaneously in the large scale distribution system with theprimary objective to minimizethe network power loss. To perform this task of optimization, one latest algorithm named L-SHADE, linear population size reduction technique of success history based adaptive differential evolution, has been utilized. This is an advanced one of the previous Differential Evolution algorithm,namely SHADE  where the control parameters scaling factor (F) and the crossover rate (CR) are only adapted.In L-SHADE , the control parameter population size (Np)is also reducedlinearlyover successive generations. The algorithm optimizes the rating (continuous variable) and corresponding bus number (discrete variable) for both DG and SC. IEEE 69 bus, 119 bus standard distribution networksand a practical 83 bus distribution network have been studied. The simulation results have been compared with similar equivalent algorithms in the large scale distribution system and found as the best among them. Keywords: Power loss minimization, Larger Distribution networks, voltage profile, distributed generation, shunt capacitor,L-SHADE algorithm. Ng, H. N., Salama, M. M. A., & Chikhani, A. Y. (2000). Classification of capacitor allocation techniques. 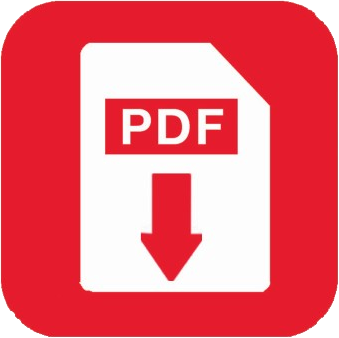 IEEE Transactions on power delivery, 15(1), 387-392. Ayodele, T. R., Ogunjuyigbe, A. S. O., & Akinola, O. O. (2015). Optimal location, sizing, and appropriate technology selection of distributed generators for minimizing power loss using genetic algorithm. Journal of Renewable Energy, 2015. Viral, R., & Khatod, D. K. (2015). An analytical approach for sizing and siting of DGs in balanced radial distribution networks for loss minimization. International Journal of Electrical Power & Energy Systems, 67, 191-201. Karimyan, P., Gharehpetian, G. B., Abedi, M., & Gavili, A. (2014). Long term scheduling for optimal allocation and sizing of DG unit considering load variations and DG type. International Journal of Electrical Power & Energy Systems, 54, 277-287. Kansal, S., Kumar, V., & Tyagi, B. (2013). Optimal placement of different type of DG sources in distribution networks. International Journal of Electrical Power & Energy Systems, 53, 752-760. Aman, M. M., Jasmon, G. B., Bakar, A. H. A., & Mokhlis, H. (2014). A new approach for optimum simultaneous multi-DG distributed generation Units placement and sizing based on maximization of system loadability using HPSO (hybrid particle swarm optimization) algorithm. Energy, 66, 202-215. Kefayat, M., Ara, A. L., & Niaki, S. N. (2015). A hybrid of ant colony optimization and artificial bee colony algorithm for probabilistic optimal placement and sizing of distributed energy resources. Energy Conversion and Management, 92, 149-161. Nojavan, S., Jalali, M., & Zare, K. (2014). Optimal allocation of capacitors in radial/mesh distribution systems using mixed integer nonlinear programming approach. Electric Power Systems Research, 107, 119-124. Sultana, S., & Roy, P. K. (2014). Optimal capacitor placement in radial distribution systems using teaching learning based optimization. International Journal of Electrical Power & Energy Systems, 54, 387-398. Etemadi, A. H., & Fotuhi-Firuzabad, M. (2008). Distribution system reliability enhancement using optimal capacitor placement. IET Generation, Transmission & Distribution, 2(5), 621-631. Naik, S. G., Khatod, D. K., & Sharma, M. P. (2013). Optimal allocation of combined DG and capacitor for real power loss minimization in distribution networks. International Journal of Electrical Power & Energy Systems, 53, 967-973. Aman, M. M., Jasmon, G. B., Solangi, K. H., Bakar, A. H. A., & Mokhlis, H. (2013). Optimum simultaneous DG and capacitor placement on the basis of minimization of power losses. International Journal of Computer and Electrical Engineering, 5(5), 516. Muthukumar, K., & Jayalalitha, S. (2016). Optimal placement and sizing of distributed generators and shunt capacitors for power loss minimization in radial distribution networks using hybrid heuristic search optimization technique. International Journal of Electrical Power & Energy Systems, 78, 299-319. Khodabakhshian, A., & Andishgar, M. H. (2016). Simultaneous placement and sizing of DGs and shunt capacitors in distribution systems by using IMDE algorithm. International Journal of Electrical Power & Energy Systems, 82, 599-607. Fadel, W., Kilic, U., & Taskin, S. (2017). Placement of Dg, Cb, and Tcsc in radial distribution system for power loss minimization using back-tracking search algorithm. Electrical Engineering, 99(3), 791-802. Kanwar, N., Gupta, N., Niazi, K. R., & Swarnkar, A. (2015). Improved meta-heuristic techniques for simultaneous capacitor and DG allocation in radial distribution networks. International Journal of Electrical Power & Energy Systems, 73, 653-664. Tanabe, R., & Fukunaga, A. (2013, June). Success-history based parameter adaptation for differential evolution. In Evolutionary Computation (CEC), 2013 IEEE Congress on (pp. 71-78). IEEE. Tanabe, R., & Fukunaga, A. S. (2014, July). Improving the search performance of SHADE using linear population size reduction. In Evolutionary Computation (CEC), 2014 IEEE Congress on (pp. 1658-1665). IEEE. Arindam Roy, Susmita Roy, Biswas PP. Minimizing loss in a larger distribution network by optimal network reconfiguration and DG allotment using an advanced adaptive differential evolution. 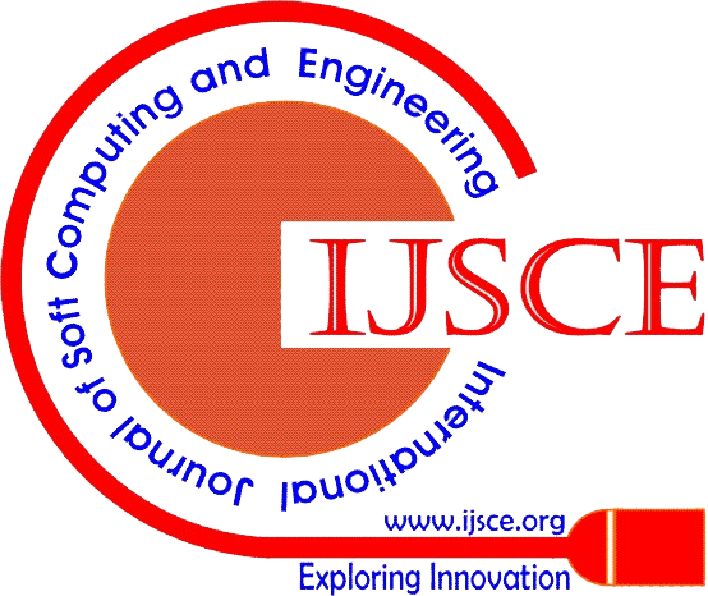 International Jounal of Soft Computing and Engineering (IJSCE), ISSN: 2231-2307, Volume-8 Isuue-4, November 2018. Aman, M. M., Jasmon, G. B., Bakar, A. H. A., & Mokhlis, H. (2014). Optimum network reconfiguration based on maximization of system loadability using continuation power flow theorem. International journal of electrical power & energy systems, 54, 123-133. Zhang, D., Fu, Z., & Zhang, L. (2007). An improved TS algorithm for loss-minimum reconfiguration in large-scale distribution systems. Electric Power Systems Research, 77(5-6), 685-694. Chiou, J. P., Chang, C. F., & Su, C. T. (2005). Variable scaling hybrid differential evolution for solving network reconfiguration of distribution systems. IEEE Transactions on Power Systems, 20(2), 668-674. Niknam, T. (2011). An efficient multi-objective HBMO algorithm for distribution feeder reconfiguration. Expert Systems with Applications, 38(3), 2878-2887. Su, C. T., Chang, C. F., & Chiou, J. P. (2005). Distribution network reconfiguration for loss reduction by ant colony search algorithm. Electric Power Systems Research, 75(2-3), 190-199.